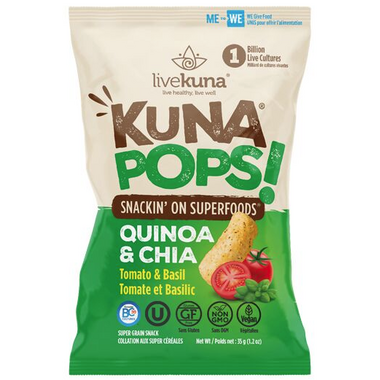 KunaPops makes snackin' on superfoods easy and delicious. KUNA means 'to give' in Quechua, an indigenous language from the Andes. At LiveKuna, they live by this mantra .With your purchase KunaPops, you'll help provide food and school gardens to children in Ecuado in Ecuador. Finally a healthy snack that tastes good! and is very convenient to take it on the go. Will buy this again! I did not enjoy these. They have a funny taste and I would not buy them again. My kids and I love these! They're like healthy cheesies. So yummy.